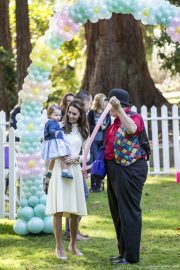 The Duchess of Cambridge (Kate Middleton) regularly wears her Kiki McDonough Lauren Leaf Earrings. 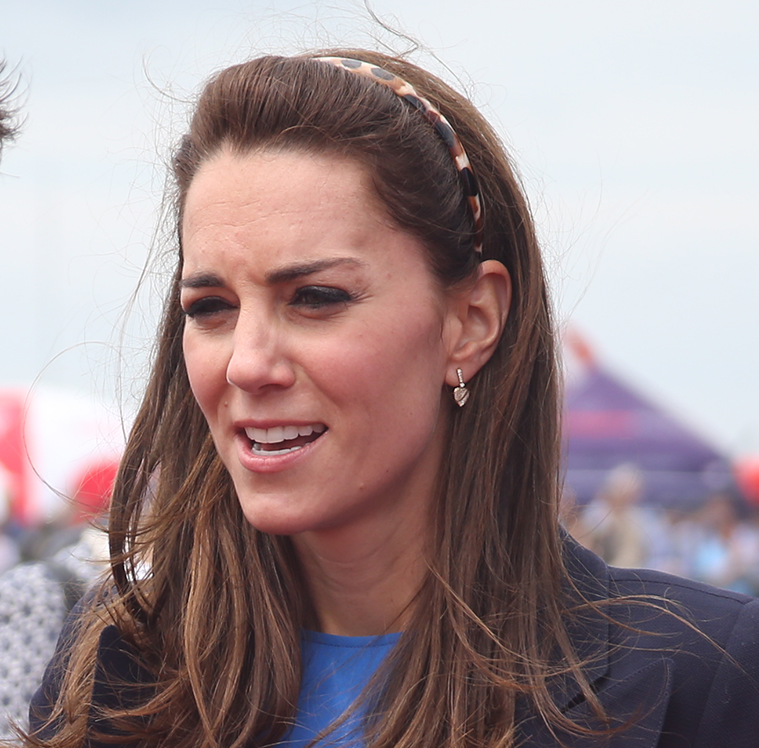 Pictured below: Kate at the Royal International Air Tattoo at RAF Fairford in Gloucestershire. 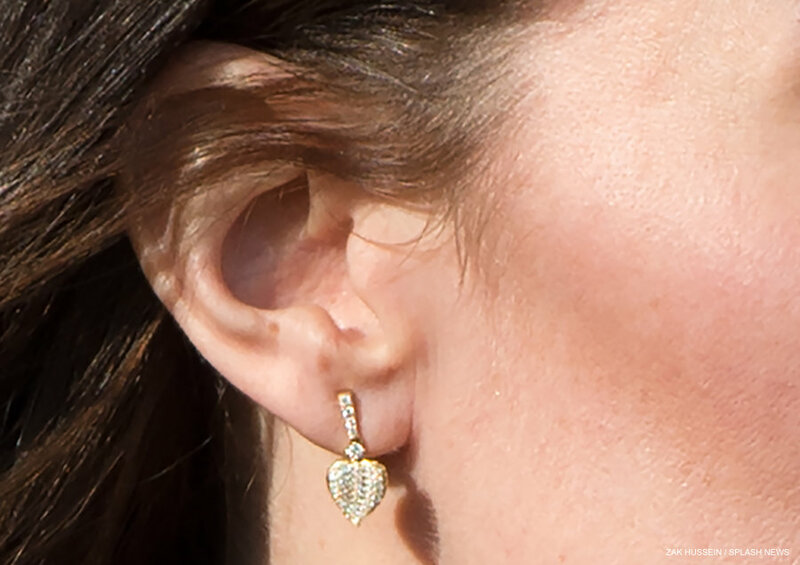 Beautiful and elegantly small these 18ct yellow gold and pave diamond leaf motif drop earrings are from our new Lauren Collection inspired by the British ballerina Lauren Cuthbertson. 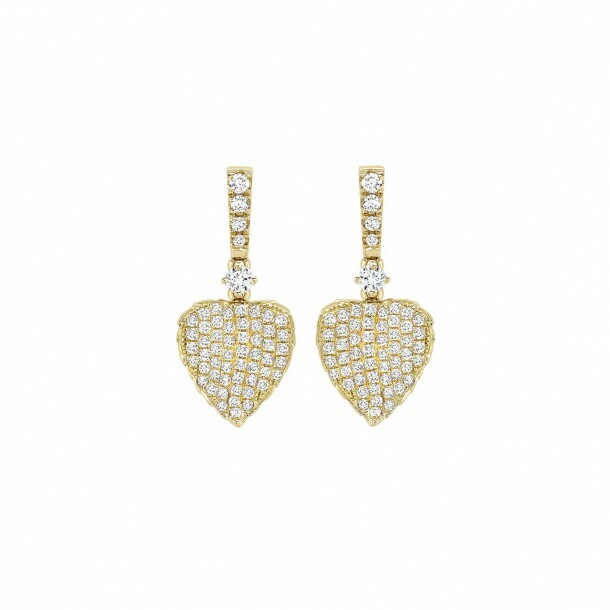 The earrings cost £2,200 from Kiki McDonough’s website (which is around $2,750 USD at today’s rates).